Machine-carved unibody aluminum is fine and all, but sometimes I miss the less austere Apple aesthetic: the cheery white plastic, the GLBT-friendliness of the rainbow logo. 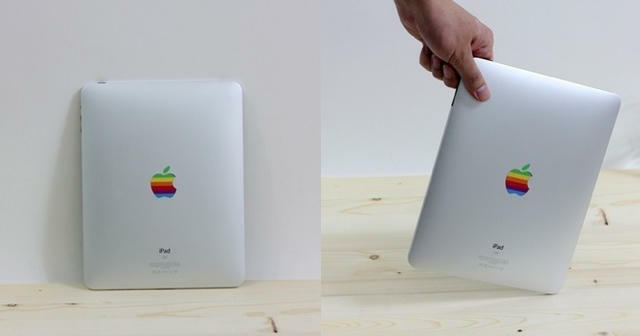 For just $3.50, you can retro your iPad up with this wonderful retro logo decal for the iPad. As Charlie Sorrel over at Wired notes: “If Apple was in any way nostalgia-minded, it should include these stickers in the boxes of its products instead of those awful, thin white stickers that we throw away by their thousands every day.” Amen to that.